Patrick Allard, PhD focuses on developing technologies that examine chemical toxicity, focusing on impacts on female germline. The lab uses a strain of the worm C. elegans as a model organism. It has a gene that codes for fluorescence that is silenced in the germline by repressive histone modification. The lab looks for chemical exposures that will de-silence the expression and cause the worms to glow after exposure. Allard P. Emerging Toxicity Models from Emerging Scientists. Toxicology research. 2015; 4(3):545-547. Parodi DA, Sjarif J, Chen Y, Allard P. Reproductive toxicity and meiotic dysfunction following exposure to the pesticides Maneb, Diazinon and Fenarimol. Toxicology research. 2015; 4(3):645-654. Parodi DA, Damoiseaux R, Allard P. Comprehensive assessment of germline chemical toxicity using the nematode Caenorhabditis elegans. Journal of visualized experiments : JoVE. 2015; (96). Ferreira D, Chen Y, Allard P. "Use of the alternative model system C. elegans in developmental and Reproductive Toxicology". In Developmental & Reproductive Toxicology (ed. Dr Ali Faqi). Springer, 2014. Allard P, Kleinstreuer N, Knudsen T, Colaiacovo MP. A novel chemical screening strategy for assessing environmental germline disruption in C. elegans. Environmental Health Perspectives. 2013 Jun;121(6):717-24. Allard P, Colaiacovo MP. Mechanistic insights into the action of Bisphenol A on the germline using C. elegans. Cell Cycle. 2011 Jan 15;10(2):183-4. Allard P, Colaiacovo MP. Bisphenol A impairs the double-strand break repair machinery in the germline and causes chromosome abnormalities. Proc Natl Acad Sci U S A. 2010 Nov 23; 107(47): 20405-10. Featured in JAMA. 2011;305(1):28. Allard P, Colaiacovo MP. Bisphenol A: metabolism, mechanisms and toxicity. In Reproductive and Developmental Toxicology (ed. Ramesh C. Gupta). Elsevier Inc., (2011). The lab studies how modifications to histone tails alter how the DNA is expressed. 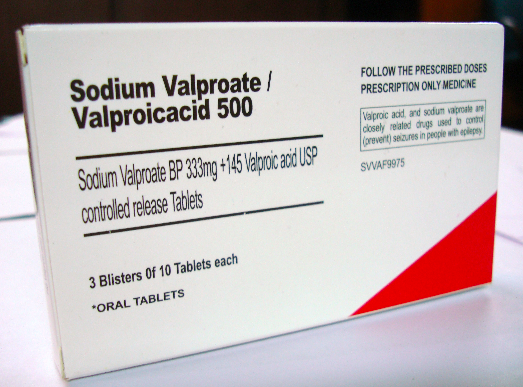 Valproic acid, used as an anticonvulsant drug, is a powerful teratogen; it inhibits HDACs which repress the chromatin. Pregnancy exposures affect three generations at once: the mother, fetus, and the germ cells, carrying the genetic and epigenetic information for the next generation. 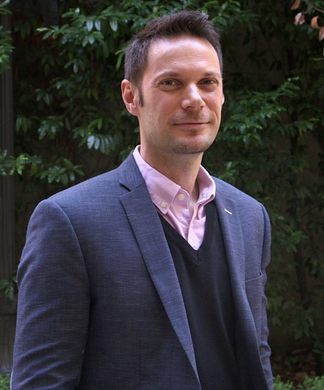 Patrick Allard, PhD, is assistant professor in the Department of Environmental Health Sciences at the UCLA Fielding School of Public Health and the UCLA Institute for Society and Genetics. The Allard Lab focuses on developing technologies that can rapidly and reliably assess the toxicity of chemicals, focusing on the complicated but urgent questions of generational effects transmitted through epigenetic perturbations of the female germline (oocytes and their progenitors). As a model organism, the Allard Lab uses a nematode worm called C. elegans. By exposing the worm to various chemicals, the lab investigates the dysregulation of normal germline development, which can result in pathologies lasting many subsequent generations. In particular they detect disruption of the germline chromatin and evolutionary conserved epigenetic marks such as histone modifications. The research can not only identify chemicals that affect the epigenome but also characterize their mechanism of action on epigenetic pathways. The lab works in partnership with the Environmental Protection Agency and the National Institute of Environmental Health Sciences to integrate its tests in the toxic chemical screening programs. Dr. Allard completed his training in Reproductive Biology, Developmental Biology and Genetics from McGill University and Harvard Medical School. His lab works closely with the National Institute of Environmental Health Sciences and the Environmental Protection Agency and receives funding from these agencies as well as the Center for Alternatives to Animal Testing and the Burroughs Wellcome foundation. Dr Allard is a Hellman's Fellow and the 2014/15 Society of Toxicology's International Toxicology Scholar. I’m so excited to speak with someone who shares my passion for female germ cell epigenetic vulnerability. Can you tell me a little bit about how you got into this field? For as long as I can remember, I have always been interested in science and biology, how animals function, how we work. Throughout the years, there are many different aspects of biology that have struck my interest. At first, it was aging and developmental biology, and that carried me through my undergrad in Southern France and my masters degrees, in Paris. Then I did my PhD in reproductive biology and developmental biology at McGill in Canada. And after that moved to Harvard for my postdoctoral fellowship. This is when things really shifted for me. I always wanted to do something that is a little more applied than what I was doing at the time, which was basic research in embryology and reproductive biology. I wanted to make a difference, and the impact of the environment was always something that was very important to me. So I decided to take something that had been my side passion, the environment, and merge that with my expertise in developmental and reproductive biology. The connection between the two is toxicology and teratology. So I dove into those fields. As an outsider at the time, I could see advances in molecular biology, cell biology, developmental biology, and genetics and and I could see there were several aspects from those fields that were not being used in toxicology. Having collected many thousands of oocytes from mice during my PhD program, I knew the limitations when you wanted to look at female fertility, and how difficult that was. I wanted to develop a system that would allow us to quickly and hopefully efficiently and with great relevance tell us what was going on in terms of exposures to the germline. So I went back to a model organism I had worked with before, the worm C. elegans. The basic idea was to apply tools from genetics to the field of toxicology. So I changed my focus during my postdoc and joined UCLA two and a half years ago. You focus on the female germ cells, or oocytes. How does female germline development differ from that of the male? In mammals, the very early stages of germ cell development are similar: the cells are specified in early embryogenesis, and they migrate through the body to reach the gonads. But after these very early stages things happen differently between females and males. The timing of the differentiation of the germ cells through the process of meiosis is different between males and females. The female germ cells do not really get a break, they start the process of meiosis soon after colonizing the gonad and there these cells go through very evolutionarily conserved stages of differentiation. The male will also go through these stages but much later in life. Also the males will continue to produce new sperm cells thanks to a reserve of spermatogonial stem cells, and while there is some debate, the consensus is the females make just one pool of cells that will last the rest of their lives. To me that is what is important – the fact that the female rely on one pool of reproductive cells that are created very early in her life and may be subjected to environmental exposures throughout the life of an individual. So the oocytes I have now were the oocytes that were created when I was a fetus. Since the female germ cells are created early during fetal development, that’s a period for concern about exposures? Absolutely. In females, you create all germ cells early during embryogenesis and then keep and use these cells for the rest of your life. So if you are exposed to chemicals in utero that impede normal germ cell processes, the effects of those exposures can endure as abnormal marks in those cells for a lifetime. With regard to males and the spermatogonial stem cells (ssc’s), I understand the adult male will continuously make mature sperm after puberty, but what if there were errors in the stem cell population? The programming of the male ssc’s is not unlike the female line, in that if there are errors in those progenitor cells, those could be propagated through spermatogenesis. Absolutely, but the question then, and I am not sure we still have a detailed answer to it, is whether these stem cells have a comparable repairing ability to the more differentiated cells we find in females. If you do induce DNA errors in ssc’s those would propagate errors to the daughter cells, but scientific evidence points to ssc’s having greater ability to repair the damage and also eliminate the cells that are too damaged to be repaired. But the bigger point is the fact that historically, it has been much easier to examine and answer these questions in males because of the great number of sperm cells numbers and their accessibility at adult stages. Examining the equivalent stages in the female germline, in mammalian species, has been much more challenging. In the germline of your model organism, C. elegans, you study primarily impacts on the mechanism of histone modification. Can you tell me about that? Well first, let me point out that C. elegans does not have DNA methylation like mammals do and DNA methylation has been the most studied of the various epigenetic mechanisms. However, another mechanism of epigenetic regulation is through the modification of histones, something that is well conserved in both worms and mammals. 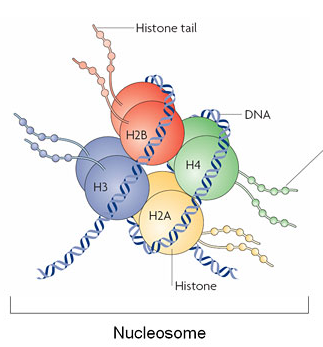 Histones are proteins that forms a barrel the DNA wraps itself around. For a while scientists thought these histone “barrels” were simply structural or mechanical supports for DNA. Then we realized it is much more complicated than that. The proteins are not just sitting there, they interact with the DNA and partner with the DNA in regulating how the DNA is actually expressed. And the shape wasn’t just a barrel, it was a fuzzy sort of barrel with little tails sticking out from it, and those tails interact with the DNA. The way these tails are modified chemically tremendously affect what we call the chromatin. They affect the way the DNA is compacted and genes are expressed. These histone tails can make the DNA more easily accessible and therefore able to be transcribed and expressed. Or with different chemical groups you can repress the chromatin so that the DNA is less accessible and the genes are not expressed. And then we realized it’s actually more complicated than that. There’s actually what we call a “histone code” of a tremendous number of different marks, or chemical modifications. There are many, many, many different kinds of marks. A million-dollar environmental question is to understand the significance of the chemical perturbation of these different combinations of marks. There is a big window for chemicals to affect gene expression through the histones because you’re talking about a lot of different marks and each one of these marks is regulated by a different enzyme. Worms and mammals have between 60 to 70 of these enzymes! So that is 60 to 70 different possibilities for a compound to be able to affect the chromatin and therefore the expression of genes. It is a tremendous window of opportunity for a chemical to affect the epigenome by deposition or removal of these chemical modifications. And I understand those dozens of enzymes are highly evolutionarily conserved. So if those enzymes are tampered with in some way, you’re more likely to have a disruption of the histone code? Exactly. And C. elegans is an excellent model to study the influence of the environment on these marks as the worm relies on histone modifications that are well conserved through evolution, conserved in a similar fashion as you would find in germ cells in mammals. And it’s hard to know which chemicals can have effects on these histone-modifying enzymes? Are the HDAC inhibitors like those in anticonvulsant drugs, examples of chemicals that can have adverse epigenetic effects on development. Yes, it is hard because there are so many different enzymes altering both active and repressive marks. But you are right, valproic acid is one example of a chemical inhibiting enzymes called HDACs whose function is to repress the chromatin. And valproic acid is also a powerful teratogen, mediated in part by its anti-HDAC activity! To come back to the germline, there is a question whether all cells are affected equally or whether some will be more sensitive to chemicals altering the epigenome. It becomes a complex question and my research is trying to come up with answers to these questions, looking at the germline specifically. It is clear that germ cells have a unique differentiation program and offer a very unique toxicological context. This is especially evident early during mammalian development, when primordial germ cells (PGCs) have low DNA methylation and instead rely heavily on histone modifications. And there is strong evidence that this early embryonic period represents a critical window of germ cell development. If you disrupt histone modifications at these stages, through regulation of some of these chromatin modifying enzymes, then genomic stability is impaired and germ cells die. In your model organism, how do you test for phenotype differences caused by germline errors? We want to start by looking at phenotype, instead of one compound-one gene pathway, and all the variations. So we start with a phenotype of altered chromatin regulation. When there is this abnormal phenotype, then we proceed to figure out the pathways involved. We are making use of a strain of C. elegans a gene that codes for fluorescence is repressed (i.e silenced) in the germline by repressive histone modification. That silencing of the fluorescent protein is very much alike the silencing of repetitive DNA, such as transposons, in mammalian genomes. We are looking for chemical exposure that will de-silence the expression and cause our worms to glow, or fluoresce, after exposure. If the worms glow, that indicates that the compounds perturb the normal, repressed, chromatin state. We can see that in a matter of one or two days after exposure to drugs designed to target histone modifications but also to environmental compounds like BPA or vincolozolin. But we do not stop there and also examine the subsequent generations of worms, the worms that were not exposed directly, either as an embryo or germline cells, to the chemicals and we do see some transgenerational effects But we are hoping to publish these results soon, so stay tuned! One of the problems I’ve run into in my interactions with regulators, and sometimes even researchers, is the idea that if a fetus can survive an exposure and does not have discernible teratogenic manifestation, that the F2 might be affected even if the F1 is okay. The FDA has in fact responded to one of my petitions, asking them to ascertain fetal germline effects of pregnancy drugs, that, essentially, “If the F1 looks okay, we don’t care about the F2 germline.” This strikes me as a stunning oversight and misapprehension of basic biology. I think the best way to respond to this point is to show a diagram of a pregnant woman, with a fetus, and the fetal germ cells in the gonad of the fetus. 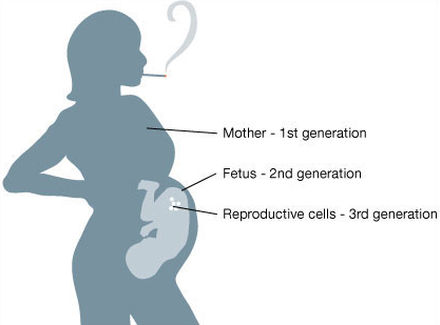 In the gestating female, there’s a direct exposure to three generations at once. What is really telling about this picture is that it is not the same things that are being exposed here. There is no “skipping of a generation.” The entire genomic content of the F2 is exposed to the chemical, and future developmental processes can be impacted. This is in contrast to the somatic cells of the fetus where some developmental processes are already in place, and some will take place later on. It’s a completely different interaction for an exposure. It is clear to me that the somatic tissues in the F1 generations do not need to be impacted to have defects in the F2 generation. For example, some scientists have suggested that steroid-interrupting compounds warrant particular concern. Is there something to that? We know, for example, that the fake estrogen, diethylstilbestrol, or DES, has generational effects in humans. That is a very important question. If you think about steroid-like molecules or lipophilic molecules, yes they will cross the cell membrane and have an easier time reaching the nucleus and potentially impact gene expression and function. But the fact that xenoestrogens can have these effects does not mean these are the only ones. We need to think more comprehensively about what kind of chemicals can impact the epigenome and cause heritable modifications. Testing many compounds at a time will allow us to better predict, based on their structure, which chemicals may carry the same activity and effects. In my lab, I am interested in developing screening platforms to test hundreds of chemicals at a time and uncover novel mechanisms of transgenerational effects. For example, there is a body of literature pointing to a link between BPA and DNA methylation in mammals. However, I work with an organism whose epigenome is regulated through histone modifications and not methylation, and yet BPA carries transgenerational effects in this organism. That means BPA is not just acting on DNA methylation, it’s also acting on other epigenetic pathways. I want to close by thanking you for approaching science in a creative, pragmatic, and multidisciplinary way, weaving together different fields to accelerate research on such very important questions about generational impacts of exposures. I hope your lab will succeed in revealing this dimension of toxicity that has not yet received the attention it so badly deserves.